Video games are now the biggest entertainment industry in the United States based on consumer spending. 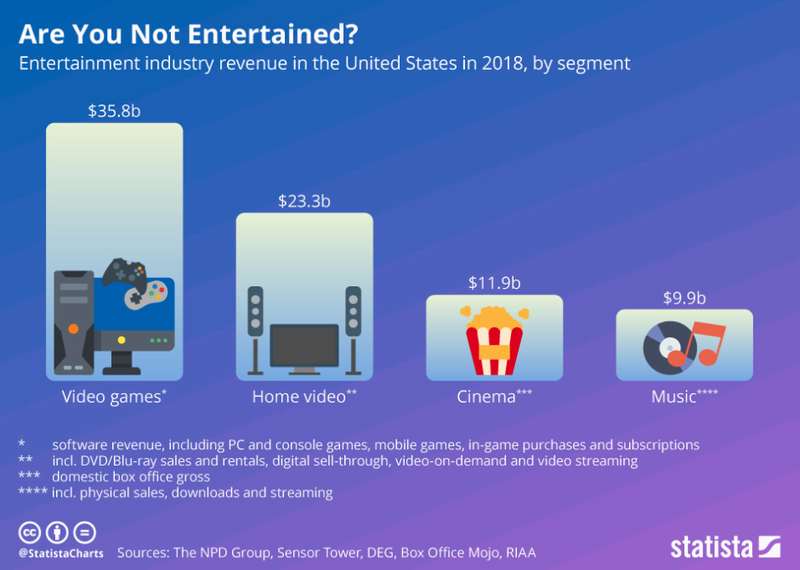 According to the Entertainment Software Association, Americans spent almost $36 billion on video game content in 2018. That’s almost as much as Americans spent on home video, cinema, and music combined. 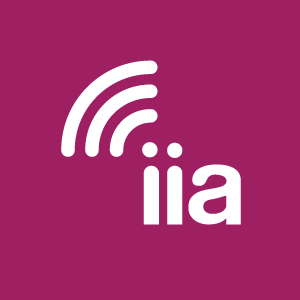 The success of the video game entertainment industry can be witnessed on a variety of different gaming platforms, many of which are internet-enabled. For a video gaming platform to be successful, it’s imperative that video game developers are both interested in and actively developing for that platform. 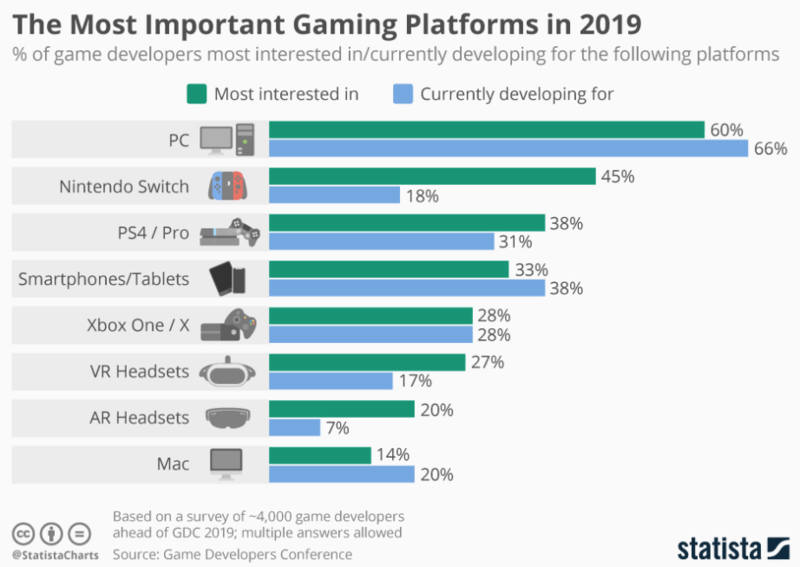 According to a recent survey by UBM, the most popular gaming platform is PC, with 60% of game developers saying they are interested in developing for the platform and 66% saying they are actively developing for the platform. Nintendo Switch, PS4, and smartphones/tablets also showed strong interest from developers. AR/VR headsets and Mac platforms were near the bottom of this list for game developers.